For 2011, BMW debuted an all-new, winsome range of BMW 5 Series luxury mid-size sedans. Not surprisingly, 2012 sees the continuation of two of these offerings in reasonably unchanged form, with one very interesting exception, the 2012 528i. Last year's BMW 528i was powered by a 240-horsepower version of BMW's 3.0-liter inline-6. For 2012, however, the same entry-level 528i is now powered by a very different engine that points far into BMW's green future. Instead of a three-liter six-cylinder, this new engine is a clean, extremely efficient turbocharged four-cylinder of only two liters. Despite being one third smaller in cubic capacity than the prior six, this Twin-Power turbo four-cylinder generates greater torque and horsepower, and much better fuel mileage, than the three-liter six-cylinder it replaces. Otherwise, the 2012 BMW 5 Series is unchanged from 2011. 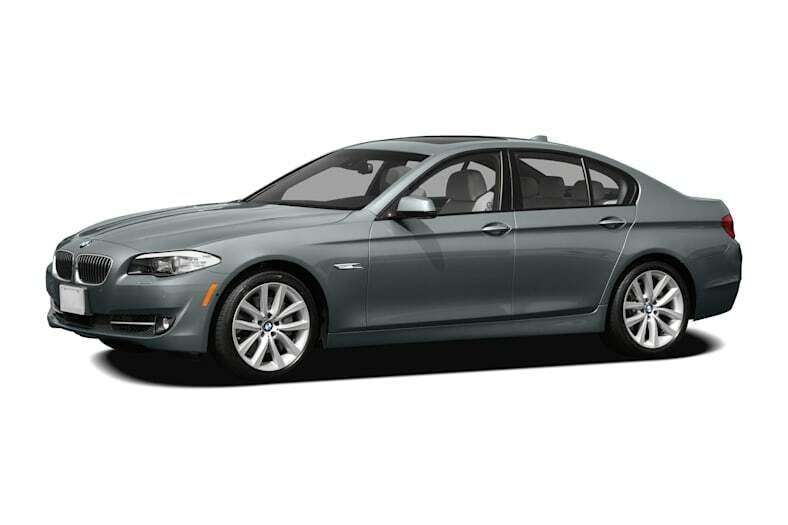 The BMW 535i and 550i were all-new for 2011. The three variants, the BMW 528i, BMW 535i and BMW 550i, remain chic, crisp and distinguished for their aggressive styling and driving character. For the most demanding sporting driver, they are a bit on the big-and-heavy side, but their excellent vehicle dynamics and agility make them assertively proactive and manageable when faced with the necessity of an emergency avoidance maneuver, making them excellent family sedans. In furtherance of their safety-car orientation, the 5 Series contain a comprehensive inventory of passive safety provisions, the multiple airbags and structural provisions that protect occupants in the event an impact occurs. The 5 Series models are substantial, well-engineered passenger cars, yet they are gifted with an exciting athleticism that keeps the driving experience engaging and pleasurable. BMW's fourth-generation iDrive cockpit-management system is much easier to use than previous versions, but it is still not the most intuitive, straightforward system to be found. With patience and a little insight, though, the 2012 BMW iDrive delivers results that make you feel you're almost as smart as your car. The modular BMW interior, much of which finds its way into models from the top of the line to the bottom, is handsome and contemporary. Glowing tan and matte black contrast handsomely on the dashboard, these surfaces punctuated by elegant swatches of exotic wood. Instrumentation is comprehensive and flawless, in the German manner. For those who see themselves as having reached a certain level, there is nothing in this stylish cabin that will contradict that view.